Find here list of Mobiles in India with price. 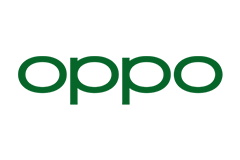 You can browse 247 Mobiles from best brands like Apple, Xiaomi, Vivo, Samsung, OnePlus. The Mobiles price list updated on 20th April 2019 with lowest price from top online retailer like Flipkart, Amazon, Paytm Mall & many more. Hisilicon Kirin 710 Octa-core (4x2.2 GHz Cortex-A73 & 4x1.7 GHz Cortex-A53) CPU ; 128GB ROM, 4GB RAM ; Supports microSD, up to 256 GB (uses SIM 2 slot) ; 3340 mAh battery. Main Camera: Dual: 16 MP (f/2.2, PDAF) + 2 MP ; Front Camera: Dual: 24 MP (f/2.0) + 2 MP. For USA Buyers : This Smartphone is compatible/will work with any GSM Networks such as AT&T, T-Mobile. For exact 2G GSM, 3G, 4G/LTE compatibility, please check with your network provider in advance prior to your purchase. This phone WILL NOT WORK with any CDMA Networks such as VERIZON, SPRINT, US CELLULAR. Main Camera: Dual: 12 MP (f/1.5-2.4, 1/2.55", 1.4µm, dual pixel PDAF, OIS) + 12MP (f/2.4, 1/3.4", 1µm, AF, OIS) ; Front Camera: 8 MP, f/1.7, 1/3.6", 1.22µm, AF, DIS. 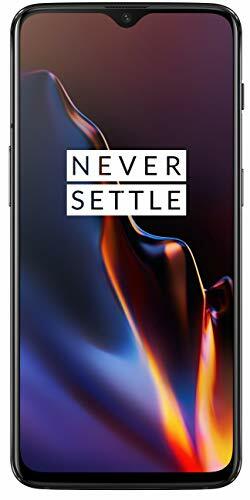 OnePlus 6, Operating System: OxygenOS based on Android 8.1 Oreo, CPU: Qualcomm Snapdragon 845 (Octa-core, 10nm, up to 2.8GHz), 8G Memory + 128G Storage, Sensors: Fingerprint, Hall, Accelerometer, G-sensor, Electronic Compass, Gyroscope, Proximity, Ambient Light Sensor, RGB, Sensor Hub. Dual SIM - works with all GSM carriers in US including AT&T, Cricket, Straight Talk, NET10, T-Mobile, and MetroPCS and more. "NOT COMPATIBLE WITH VERIZON AND SPRINT". The Honor View10 Full View Display is a stunning new bezel-less 5.99-inch screen with an 18:9 display ratio. With 2X the speed of 4G LTE, Honor V10 gives you the ultimate gigabit LTE experience capable of speeds up to 1 gigabit per second. It offers Dual SIM & Dual LTE capabilities. With a large 3750 mAh battery coupled with smart ai power management that learns from user behavior optimizing maximum battery life. A full day of power even for gamers! Mobiles price & products list are updated on April 20, 2019 04:34 IST.